Numbering a mere 70 (‘Seventy Souls’) when they moved to Egypt along with Jacob, the Jews grew in number rapidly over the following few generations and soon their population ran into millions. Though they had mingled well with the Egyptian society, their awareness of their religion, that of the divine vision that their patriarch Abraham had received, along with that of their aim, and of the Hebrew language was very much alive and burning in their hearts. ….and it was this exactly that piqued the locals. Resentful of the fact that the Jewish community did not follow polytheism prevalent in the Egyptian society then, the Jewish belief in monotheism based on some divine vision that their patriarch had had, was what the locals found further galling. 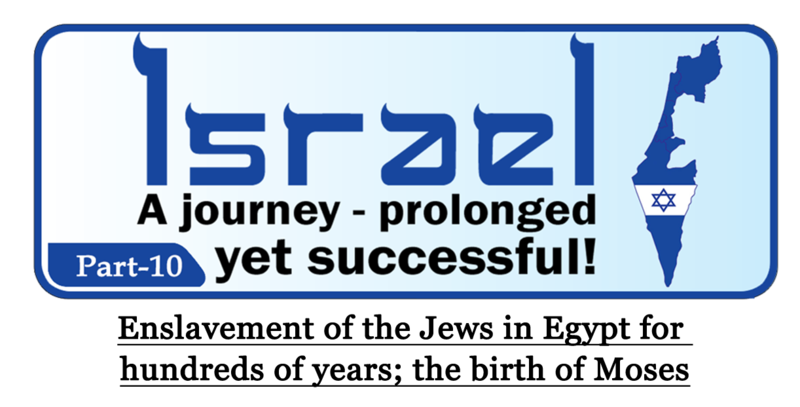 In addition, the progress that the Jewish community had achieved made them jealous. The rulers who succeeded the Pharaoh too did not look upon these ‘outsiders’ with favour. The subsequent generations of Egyptian Pharaohs and the people had forgotten Joseph’s great work in Egypt. But the Jews were now far too many to be disregarded, and the Pharaohs constantly nursed a fear that they would, one day, seize power from them. Hence gradually, the Pharaohs annulled all the civil rights of the Jews and made them their slaves. Diligent by nature, the Jews never did mind hard work but the Egyptian leadership had made their lives miserable. The lives the Jews were forced to live could barely be called human. They were sacked from all the important political and social posts and responsibilities and huge taxes were levied on them. They were restricted to labour jobs like road building, housing construction, public hygiene and sanitation, housekeeping, portering, etc. Why a community blessed by God should be subjected to so much strife and suffering, one may wonder. But may we remind ourselves that God had, much beforehand, mentioned about this period of slavery in the vision that He had given Abraham. Why did God not prevent it in the first place, is another question that is often asked. Perhaps this was a phase, God-sent and essential to in the progress that awaited the Jewish community. Also, before moving into Egypt the whole of Jewish community was scattered across different regions. The real journey towards the realization of the principles of ‘One religion’ and ‘One nation’ actually began in Egypt. 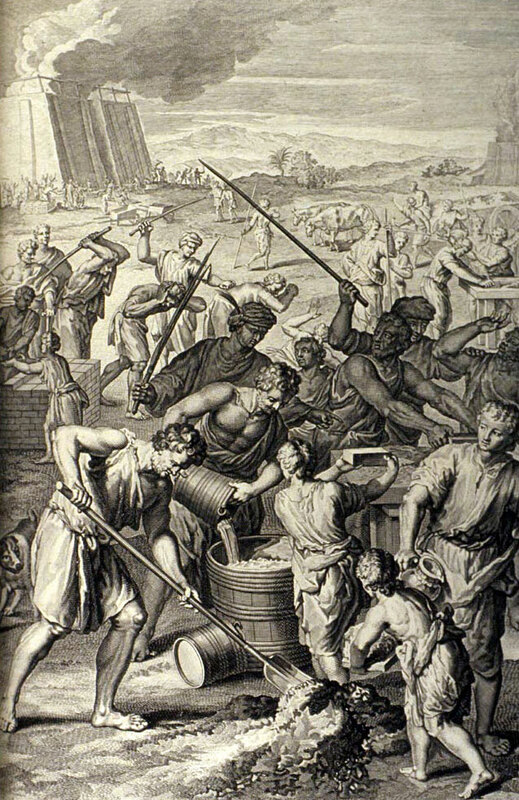 Before they arrived in Egypt, the Jews did farming but not on a large scale. 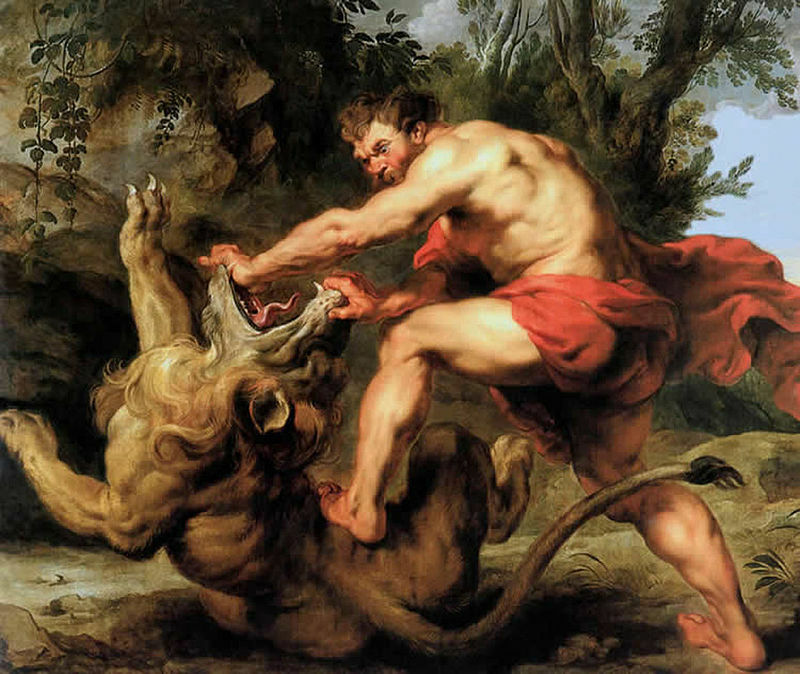 Their main source of livelihood had always been animal herding. It was here in Egypt that they were really introduced to farming and began pursuing it as their profession. It was here in Egypt that the Jews developed as ‘One community’. In fact, in the times to come, these few centuries of slavery in Egypt brought the Jews all the more close to each other. Meanwhile, Levy’s descendants were discharging their duties of handing down knowledge and awareness about their God, religion and their aim from generation to generation. Moreover, this work being regarded as ‘religious’, they were the only ones among the Jews who were spared the wrath of the Egyptians. 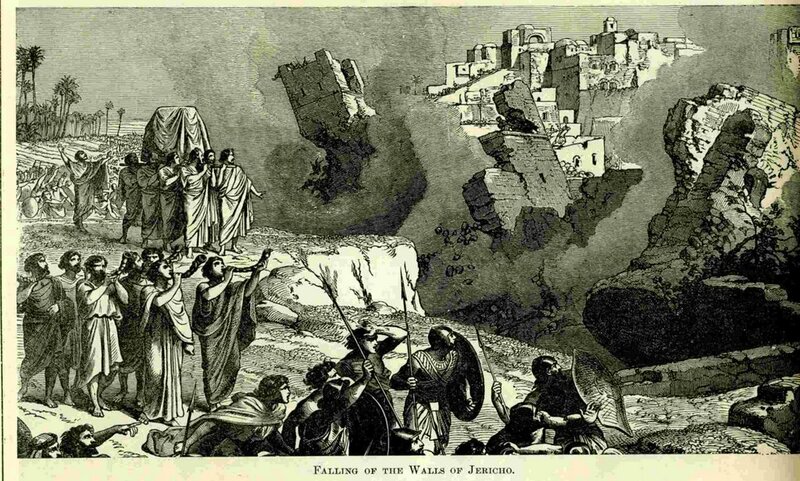 It was now many years since Joseph had passed away and the atrocities on the Jews by the Pharaoh were mounting. To make matters worse, some Egyptian astrologers prophesied to him that the one who would free the Jews from slavery would be born soon. For the Pharaoh the coming of the harbinger of freedom of the Jews meant the coming of the one who would oust him from his throne and grab power. 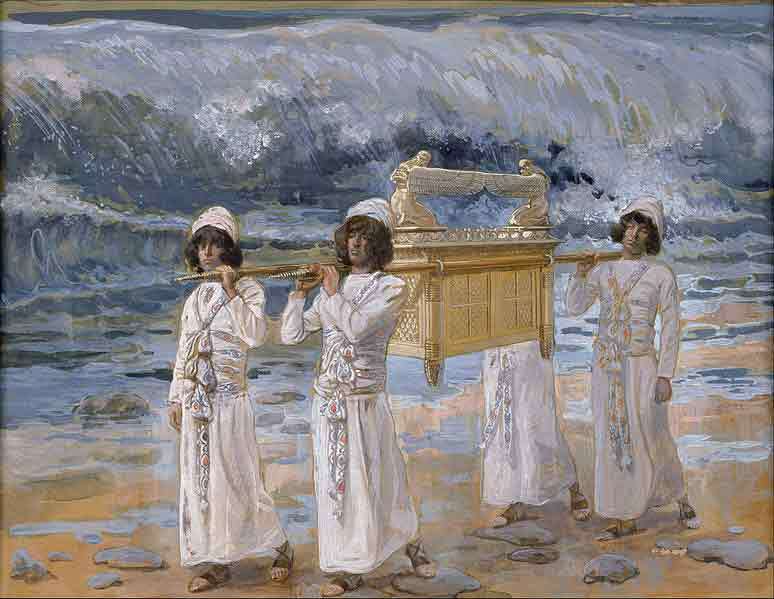 Discomposed and actually nervous, the Pharaoh commanded all the new-born male Jewish children to be drowned! This led to complete mayhem among the Jewish community and indignation and rage seethed in their minds. 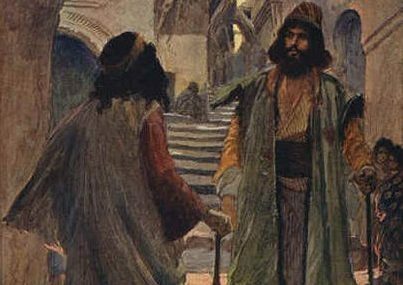 It was in this atmosphere of instability and furore, Moses (Moshe) was born to Levy’s grandson, Amram and his wife Jochebed. Jochebed was herself known to be an expert midwife. Moses was Amram and Jochebed’s third child, his sister Miriam being the first and Aaron, his brother being the second. The three siblings were destined to perform great work for the Jews. 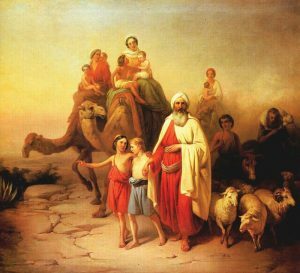 A story says that as soon as Moses was born, the house was filled with a radiant light, which convinced his parents that he was an extraordinary child. 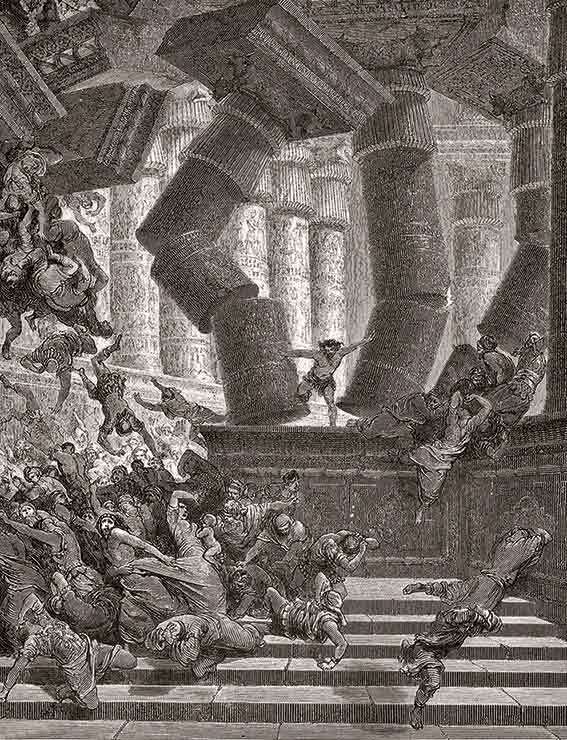 As per the new orders issued by the Pharaoh, his soldiers would regularly raid Jewish homes. His mother hid him and protected baby Moses from falling into the soldiers’ hands. But well aware that she was not going to be able to do so for too long, she made a plan. Every day at a particular time, the Pharaoh’s daughter came to bathe in the river, which was not too far from Jochebed’s home. Jochebed knew it. She also knew that the Pharaoh’s daughter was a kind-hearted person. With a heavy heart, she placed Moses in a basket that would float on the water, prayed to God to protect the child and very gently released him in the flow of the River Nile. 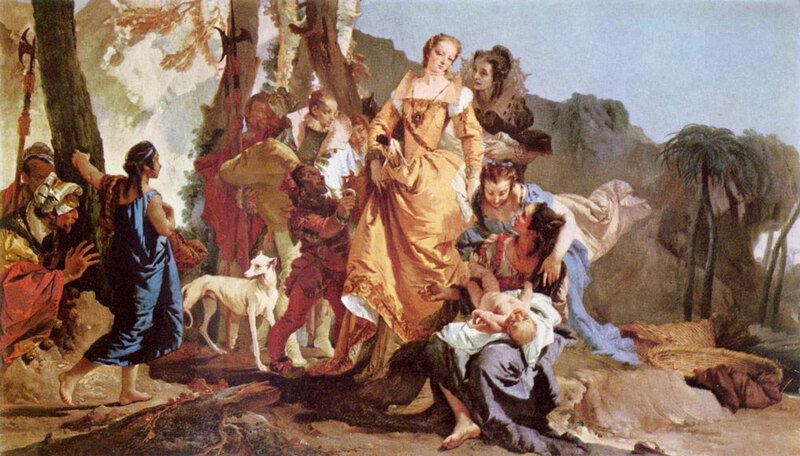 Jochebed’s daughter, Miriam remained nearby on the riverbank to watch the baby. And exactly as Jochebed had thought, flowing with the waters of the Nile, the basket fell in the hands of the Pharaoh’s daughter who was bathing in the river. She was filled with love and compassion, on seeing the cute baby. She foresaw also, that the Pharaoh’s orders spelt a threat to the baby’s life. She secretly sneaked it into her palace. But the child was not to be controlled by any of the midwives. It kept weeping. The princess was in a fix. 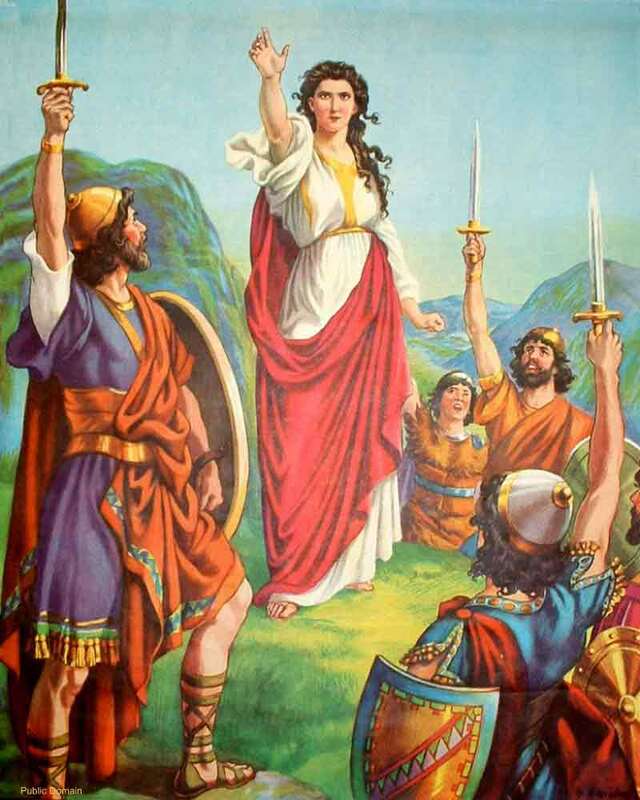 Miriam, who managed to find herself in the princess’s palace just then, claimed to know an expert midwife, successfully managing also to plant Jochebed in the palace thus reuniting her with Moses for his nurturing and upbringing. There are references which suggest that the baby was named ‘Moses’ by the princess. In the meantime, the Pharaoh’s astrologers announced that the threat looming over the Pharaoh had been averted. Reassured and relaxed now, the Pharaoh now withdrew his ‘cruel order’. Relieved with this, the princess told him about the baby she had found. The Pharaoh too had no reason to object to keeping the baby. So baby Moses openly moved around and the Pharaoh played with him. Moses became almost the foster child of the princess and so grew up literally in the lap of luxury. The Pharaoh was in fact very fond of Moses. Importantly, while he was growing up, the Pharaoh would discuss and consult Moses on just about everything which automatically gave Moses his political and administrative training. 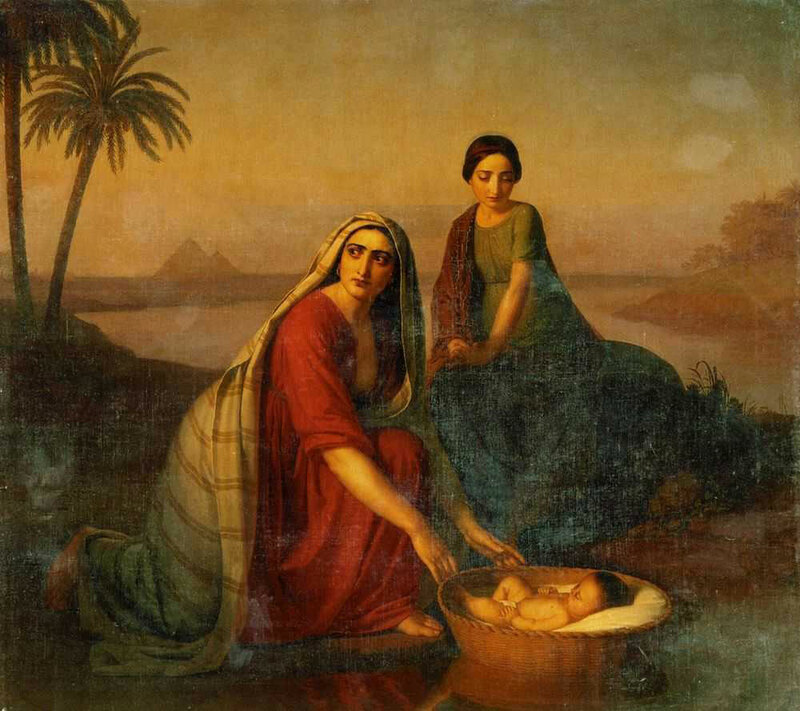 As Moses grew up, Jochebed who worked as his nanny ensured that his upbringing was Jewish. He was also given all the traditional Jewish knowledge and education. As a result, he could not bear the injustice inflicted on his Jewish brethren by the contemporary Egyptian people. He would many a times eat and stay in the Jewish ghettoes. He would even extend a helping hand to the elderly Jews to reduce their work load. 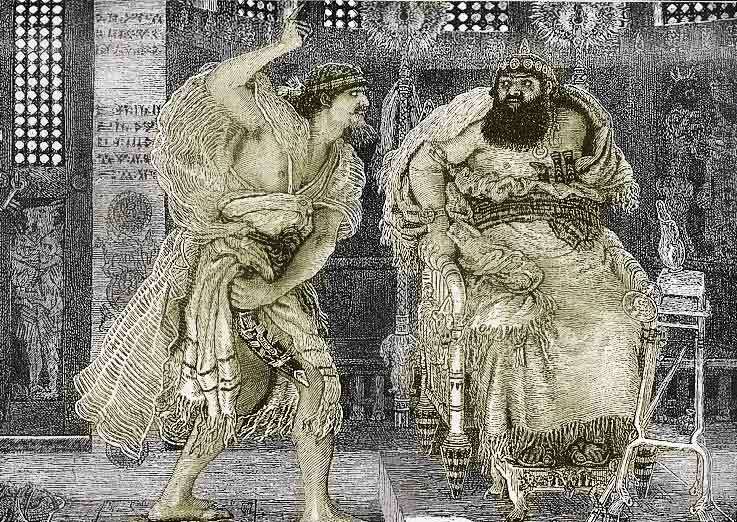 Using his good offices with the Pharaoh but also enough tact – lest the Pharaoh suspected that he had plan up his sleeve – Moses managed to convince the Pharaoh to amend the oppressive laws and ease the stress they caused to the Jews.